Some stories are harder than others – and this is one of them. This story exposes a very large painful mistake that I made, and it would be easier to just bury this tale the past and ignore as if it never happened. But that just isn’t something I have ever been good at doing. Wrong decisions are made every day, and we have all made them. If I can show just one person very clearly how easily this mistake is made, even by those of us who know better, then that person may not repeat it. That alone makes sharing this story worth writing and sharing. As many of you know, I manage the stock at a dairy. With the business growing, we have been in need of good (but affordable) milking does. Not always an easy thing to find! So when I was tipped off that there was a large herd of Toggenburg goats that needed a new home, I immediately looked into it. The story was a sad one – the elderly owner had kept and bred these goats for many, many years. They used to be show stock, and then dairy animals. Now she was facing eviction from her farm, had serious health problems, and her herd was facing the auction house. We have very little time to make a decision, and the goats were several hours away, making this a pressing issue right away. When we visually inspected the animals, the decision ultimately lay on my shoulders. There were health records going back generations, and the herd had been closed to outside animals for over ten years. I found no abscesses – or scars from abscesses – that would indicate a Caseous Lymphadenitis issue. Not one doe I put my hands on had the classic swollen knees of Caprine Arthritis-Encephalitis. Each one peered up at me with bright eyes, their delightful shaggy fur glowing in health. The kids were tagged, disbudded, and bounding around the area in picture perfect form. The facility was clean, and even the bucks in the next pasture over were everything one could want in quality Toggenburg stock. Despite the fact the owner was well into her eighties, hobbling along a pace at a time with a walker, she had used every resource she had, including hired help, to keep the animals healthy. 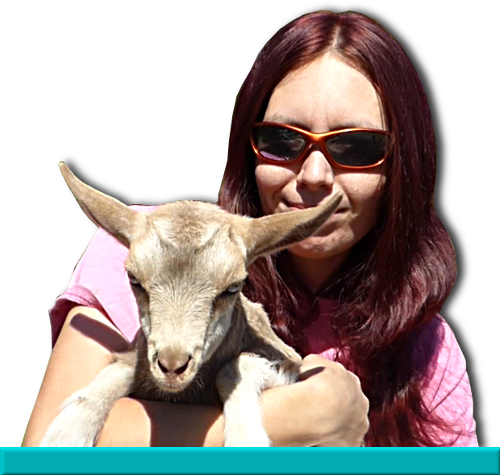 I enjoyed speaking with her – this was a woman who had seen more years of dairy goats than I could ever hope to. She told me baldly that she could no longer care for the herd, and wanted them to find a new home before it actually became an issue of declining health for the animals, but circumstances had come crashing down. Now it was surely the auction house, because how can one sell over sixty Toggenburgs to quality homes in just days? We knew it was a risk. We knew we were gambling. But we felt the odds were in our favor – and if it worked out, it would be an incredible opportunity for the dairy. A treasure just waiting for us, to help us continue to grow and thrive. The breed is growing in popularity in our area, and it could mean a much needed increase in revenue with the sales from the kids, not to mention the boost in milk we could expect. So we decided to do it. We were able to arrange transport right away, as the current owner of the Toggenburgs had a friend willing to help out. They showed up on an awful rainy day in two trailers, and I supervised the unloading into the quarantine pens, bucks separate from the does and kids. I had planned to refrain from mentioning our new additions until after the cleared all their health testing, but I didn’t think to share that plan with others, and it leaked on Facebook pretty much immediately. Of course, everyone was very excited for us, and it was contagious! We were able to clear the animals for the really scary stuff right away, which put our minds at ease somewhat. The herd was settling in, and I was growing very fond of them. They were wonderfully calm animals – I almost never saw them engage in disputes, and they took the move in stride. The kids were big and sturdy, and we were able to get everyone on track with vaccinations, copper, and hoof trimming. With our next free day, we drew blood for the final test, Caprine Arthritis-Encephalitis, commonly shortened to CAE. To our absolute horror, all but two of the does came back positive. It was incredibly crushing, and I in particular was incredibly disappointed – mostly in myself. Announcing the results to those following the herd’s progress was difficult, and quite frankly, embarrassing. The support was amazing for the most part – I couldn’t ask for better friends. There was no choice but to break apart the Toggenburg herd and remove them from the farm. Several private breeders approached me, and many of the friendly and attractive does went to homes that were set up to appropriately care and keep CAE positive animals. Even some of the bucks were able to find good homes where they should live well. The rest were lucky enough to find a job as a pasture herd. I hope their future treats them well. As for the two does who tested negative, one unfortunately died from pneumonia, but the second was placed on a regular testing schedule, and as of today, has continued to test negative for all disease. I came up with the name “A Pretty Penny” – because in the end, that’s what this entire ordeal cost us. I knew better than to purchase untested animals – the idea of doing it with so many was ludicrous. But I was over confident, and I wanted to have these beautiful animals for myself. I wanted what they represented for the dairy’s future. I was willing it to succeed with every ounce of my being. So when it turned into tragedy, I put a lot of the blame on myself. I refused to take any commission for the rehoming of the animals, and worked endlessly to place them in appropriate homes. The hardest one to let go of was the oldest buck, a massive wise looking boy I had dubbed The Old Guy. He would stand quietly with me while I scratched his thick neck. I was truly heartbroken for them – they were beautiful gentle loved animals. It’s just not good enough. A great number of infected animals will be asymptomatic. With how accessible testing is, there just really isn’t any good excuse. A responsible breeder should do everything in their power to control and prevent disease.